Statement of Cambodia Delegation to the IPU __ Statement of the National Assembly of the Kingdom of Cambodia __ H.E. Dr. Nguon Nhel Chaired a Meeting to Review the Outcome of Work in Preparation for the 27th Annual Meeting of APPF in 2019 __ APPF Future Work: “Possibility of Establishment Permanent Secretariat of APPF” __ The 27th Annual Meeting Regional Cooperation: Climate Change, Cultural Diversity and Tourism in Asia-Pacific __ Cambodian Parliament Has started to Discussed the Topics in Economy and Trade Matters __ Working Group of Political and Security Matters Selected Three Topics for the Upcoming 27th Annual Meeting of APPF __ Working Group of Women Parliamentarians Held a Meeting to discuss on the topics for the 27th Annual Meeting of APPF __ Vietnamese delegation led by Mrs. Tòng Thị Phóng paid a courtesy call to Samdech President of the Cambodian National Assembly __ The Cambodian Parliament claims to continue working to promote the effectiveness of the APPF in maintaining regional and global peace and stability __ Cambodian and Vietnamese Parliament Hold Bilateral Talks __ STATEMENT OF THE NATIONAL ASSEMBLY OF CAMBODIA (Phnom Penh, 16th of December 2017)__ PARLIAMENTARY DELEGATIONS OF THE APA MEMBERS RETURNED TO THEIR COUNTRIES AFTER THE FIRST EXECUTIVE COUNCIL MEETING __ The First Executive Council Meeting Successfully Completed and Cambodian Parliament Highly Appreciated by the APA member countries __ THE FIRST EXECUTIVE COUNCIL MEETING OF THE ASIAN PARLIAMENTARY ASSEMBLY DISCUSSES THE DRAFT RESOLUTIONS OF THE STANDING COMMITTEE ON SOCIAL AND CULTURAL AFFAIRS __ H.E. DR. NGUON NHEL: FRIENDSHIP WITHIN APA MEMBER COUNTRIES ACHIEVES LOTS OF OUTCOME __ THE FIRST EXECUTIVE COUNCIL MEETING OF THE ASIAN PARLIAMENTARY ASSEMBLY DISCUSSES THE DRAFT RESOLUTIONS OF THE STANDING COMMITTEE OF POLITICAL AFFAIRS __ MEETING OF THE ASIAN PARLIAMENTARY ASSEMBLY STANDING COMMITTEE ON ECONOMIC AFFAIRS AND COMMITTEES ON FINANCIAL REGULATIONS __ THAI AND CAMBODIAN NATIONAL ASSEMBLY PRESIDENTS HOLD TALKS TO STRENGTHEN COOPERATION BOTH THE LEGISLATIVE BODIES OF THE TWO COUNTRIES __ CHAIRMAN SENATE OF PAKISTAN MIAN RAZA RABBANI PRAISES CAMBODIAN PARLIAMENT IN LEADING THE ASIAN PARLIAMENTARY ASSEMBLY FOR TWO CONSECUTIVE YEARS __ SAMDECH PRESIDENT OF THE ASIAN PARLIAMENTARY ASSEMBLY៖ APA VISION IS TO BUILD A REGION OF NON-VIOLENCE, DISPUTES AND OPPRESSION __ SAMDECH AKKA MOHA PONHEA CHAKREI HENG SAMRIN៖ THE PRESENCE OF PARLIAMENTARIAN DELEGATIONS IN THE FIRST EXECUTIVE COUNCIL MEETING SHOWS THE ESTEEMED COOPERATION AMONG APA’S MEMBER COUNTRIES __ DELEGATIONS FROM ASIAN PARLIAMENTARY ASSEMBLY ARRIVE IN THE KINGDOM OF CAMBODIA FOR A THE FIRST EXECUTIVE COUNCIL MEETING OF THE ASIAN PARLIAMENTARY ASSEMBLY __ Twenty-five Asian Parliamentary Assembly’s members to attend the First Executive Council hosted by Cambodian parliament in early October __ SECRETARIAT-GENERAL OF THE NATIONAL ASSEMBLY CHAIRS A PREPARATORY MEETING FOR THE FIRST EXECUTIVE COUNCIL OF THE ASIAN PARLIAMENTARY ASSEMBLY IN PHNOM PENH __ Letter from H.E.Mr. Leng Peng Long, Secretary General of the National Assembly of Cambodia to inform Mr. Secretary General of IPU. In the afternoon of 19 June 2018, at the National Assembly Palace, H.E. 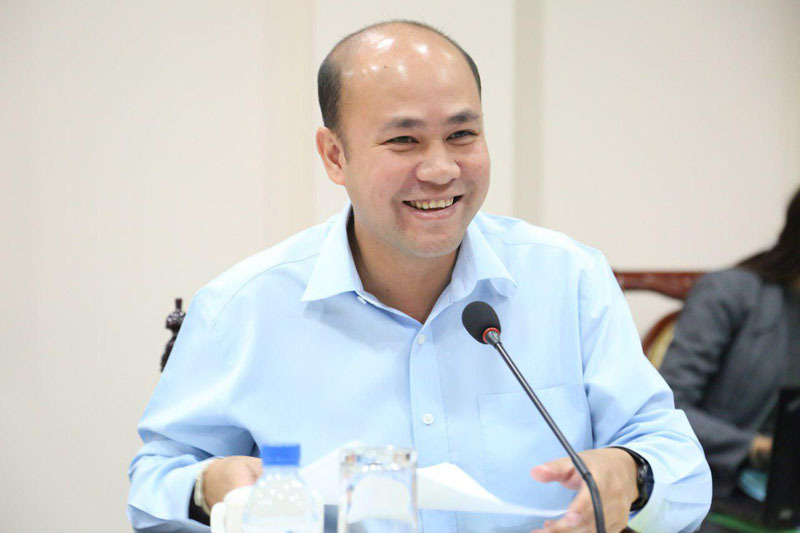 Dr. Nguol Nhel, Second-Vice President of the National Assembly and Chairman of Preparatory Committee for the 27th Annual Meeting of APPF to be hosted by Cambodian Parliament early in 2019. In the afternoon of June 15, 2018, H.E. 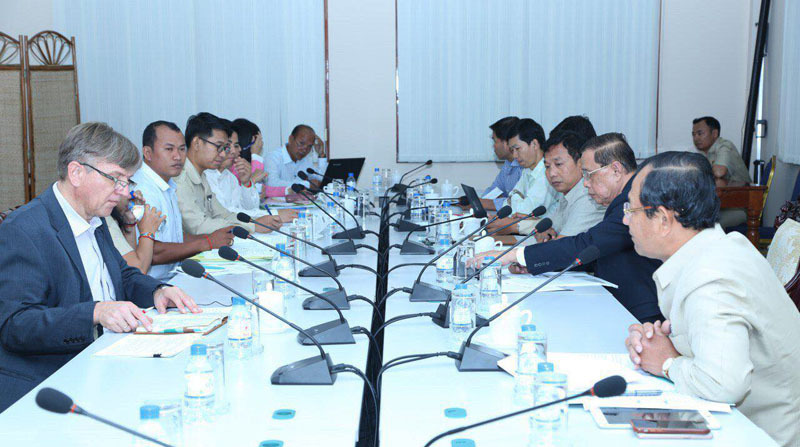 Sok Eysan, Chairman of Working Group of APPF Future Work led a meeting to select topics for this matters. 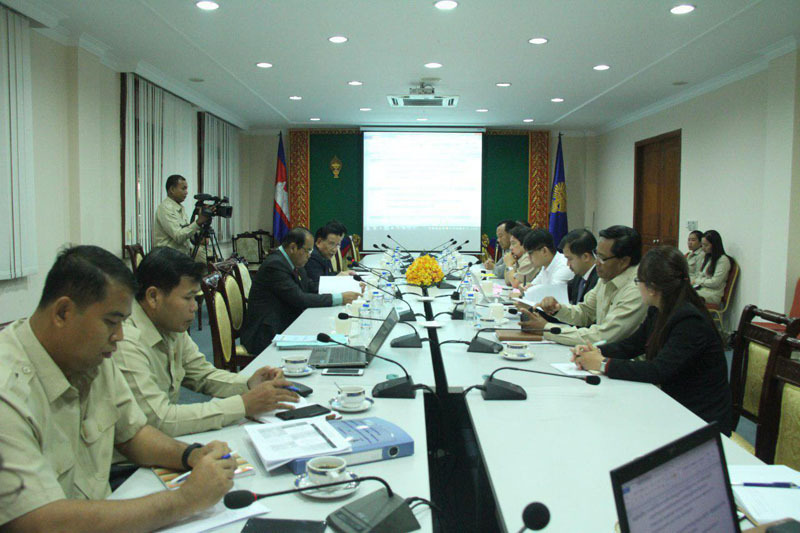 The meeting being held at the National Assembly of Cambodia, was comprised of working members of Cambodian APPF secretariat and the senior advisers to the National Assembly from the GIZ foundation. 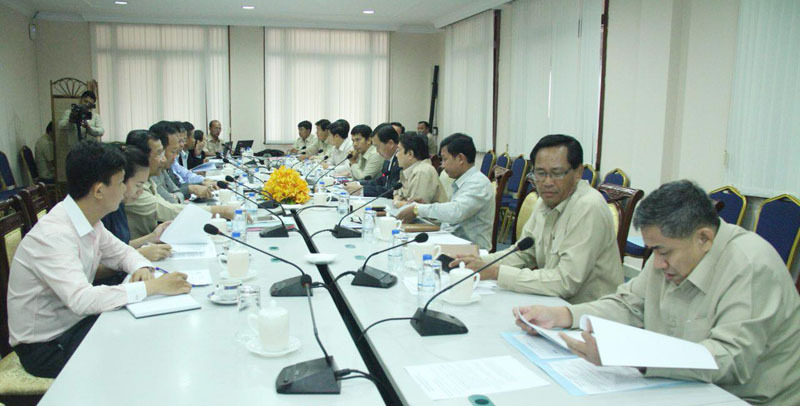 In the preparation toward the 27th Annual Meeting of APPF in January 2019, Cambodian Parliament has established five working groups in order to consolidate texts and select topics for each matters.In the afternoon of June 13, 2018, the Working Group of Regional Cooperation of the 27th Annual Meeting of the Asia-Pacific Parliamentary Forum (APPF) convened a series of topics for the matters, with a focus on climate change, cultural issues and tourism. In the name of host parliament for the 27th Annual Meeting of APPF early 2019, Cambodian Parliament, in the morning 13 June, 2018, held a meeting within the Working Group of Economy and Trade matters in order to select the topics in this matters for the upcoming 27th Annual Meeting of APPF. H.E. 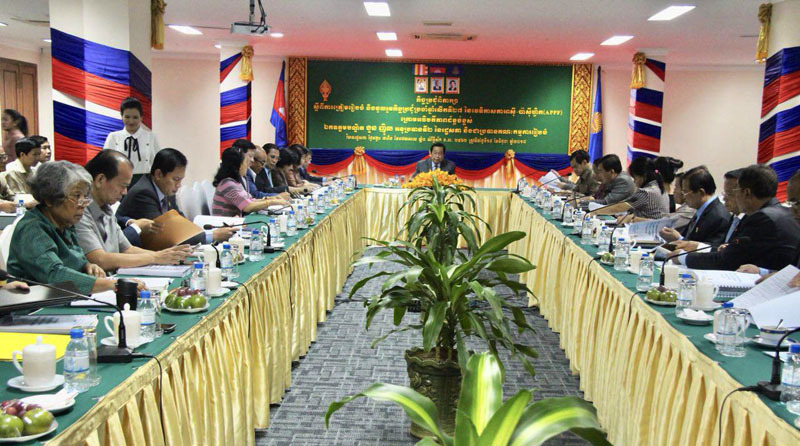 Hun Many, Chairman of the Working Group of Political and Security matters of the 27th Annual Meeting, chaired a meeting to discuss and select topics, which Cambodian Parliament will host in Siem Reap on January, 2019. H.E. 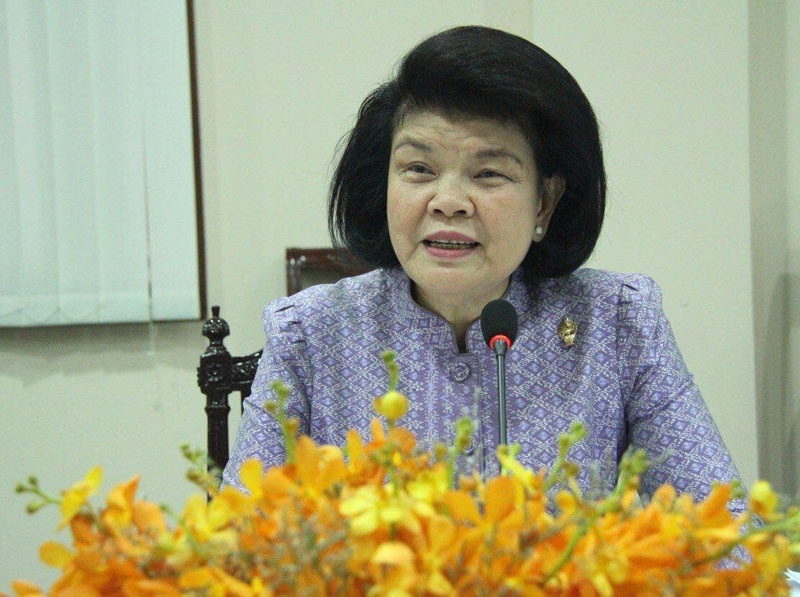 Mrs. Khuon Sodary, Chairwoman of Women Parliamentarians Group of the National Assemblyled a meeting to decide on three topics among the six topics drafted by the Working Group, and one new topic was added during the meeting. 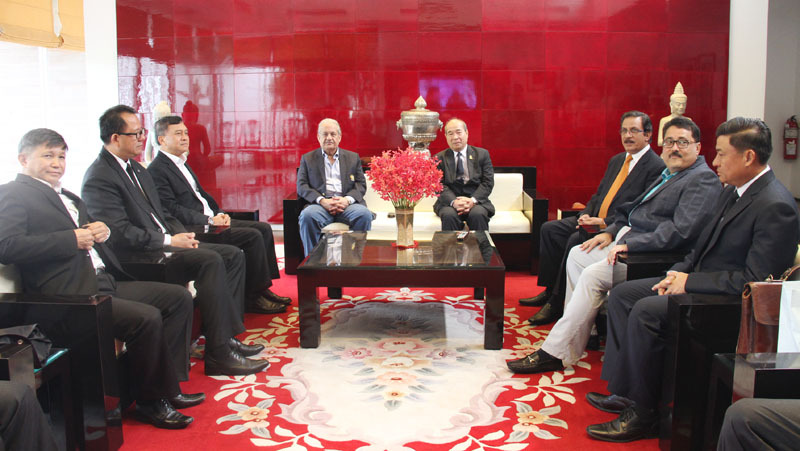 Prior to the handing over ceremony of the next APPF presidency, Samdech Akka Moha Ponhea Chakrei HENG SAMRIN, President of the Cambodian National Assembly hold talks with high level Vietnamese delegations led by H.E. Mrs. Tòng Thị Phóng, Deputy Chairwoman of Vietnamese National Assembly. At the meeting, both sides highlighted the progress of the friendship and cooperation between the two countries, both in the legislative and executive branches. Samdech Akka Moha Ponhea Chakrei HENG SAMRIN congratulated and appreciated the achievements made by the government as well as the people of Vietnam in the overall development and socio-economic development towarding prosperity rapidly. 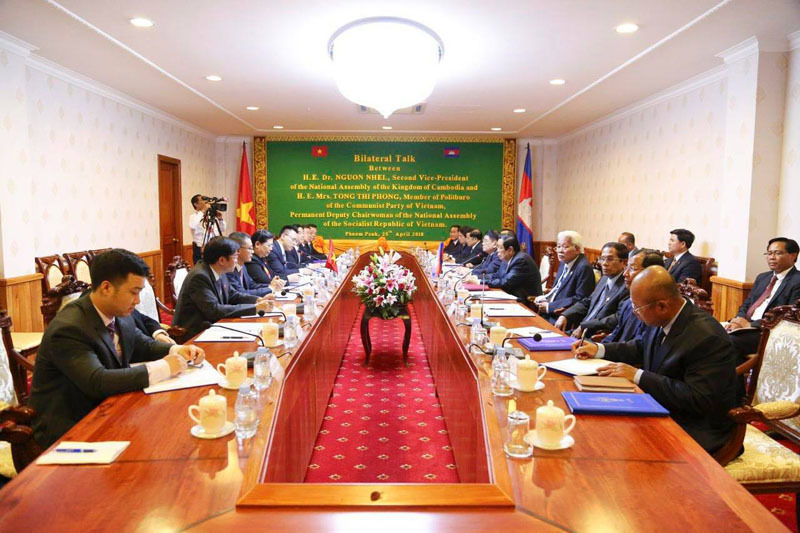 From now until the middle of 2019, the Parliament of the Kingdom of Cambodia will chair the Asia-Pacific Parliamentary Forum (APPF) after Vietnam. 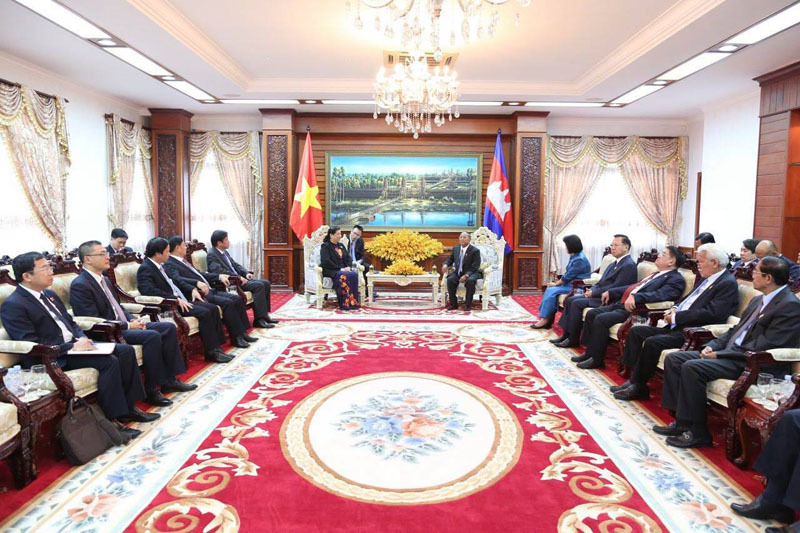 In the afternoon of April 25, 2018, Parliament of Vietnam transferred the APPF's chair to the Cambodian Parliament at the National Assembly Palace. In the afternoon of the same day of APPF Presidency handing over ceremony, high level leaders of both houses led by H.E. Dr. Nguon Nhel and H.E. Mrs. Mrs. Tòng Thị Phóng hold bilateral talks together. In this talk, H.E. Dr. Nguon highlighted that the presence of Vietnamese delegations at this time emphasized the solidarity, friendship and traditional cooperation between the two nations, which have been further strengthened both within the party, state and legislative framework. After attending the First Executive Council Meeting of the 10th APA Plenary Session, delegations have left Cambodia on October 4. At the Phnom Penh International Airport, Cambodian Parliamentarians and senior officials of the Secretariat General of the National Assembly sent the delegation off warmly the same as the welcoming arrival. This excellence hospitality made parliamentary delegations praised Cambodian parliament for their fraternity and friendship as well as the success of the First Executive Council Meeting. Rathasaphea Street, Tonle Bassac, Khan Chamcar Morn, Phnom Penh, Cambodia.